With more than 3 decades of experience, RTI Properties Inc. is a premier property management company that is dedicated to meeting the needs of our property owners and their tenants in overseeing their Downey, CA properties. We have worked hard to streamline our processes to the property owners and investors maximizing the income with our comprehensive services which cover every aspect of Downey, CA property management including professional apartment Property Management, residential properties management, services for prospective tenants and residents and more. 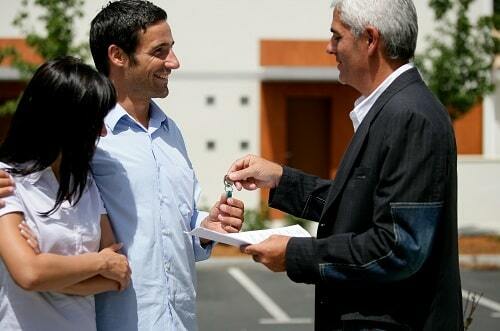 Our Downey Property Management team offers the complete range of property management services. Our property managers are able to help investors realize the full potential of each piece of Downey, CA rental property they own as well as several other Southern California property management needs. So, if you are looking for professional Downey, CA property management company for your apartment building, office or commercial property, trust RTI Property Management. We market your Downey, CA rental property by employing different strategies, local advertising and signage as well as placing your property on internet rental sites in order to find the most potential tenants for each of your unit. During our tenant and screening process, we check all potential tenants employment and financial health as well as references from past landlords as all part of our Downey Property Management services to ensuring that we find the right high-quality tenant for each rental property you own. Whenever you have rental properties you are going to have to deal with the logistics of people moving in and out of the property. Here at RTI Properties, Inc. we know how to present your Downey, CA rental property in the best light for a successful rental agreement and handle all the moving in and moving out logistics for you including those inspections to determine damages and make all preparations ensuring the property is ready for the new tenants. Our property management company Downey, CA work hard to collect all the rent due in a timely manner and keeps on top of the issue when rent is late by sending out those late rent notices and collecting those late rent fees while maintaining a good relationship with your tenants. Our experts make frequent inspections of your property and check in with tenants to make sure they are taking care of their maintenance responsibilities under their lease. In addition, we take care of any needed repairs quickly at the lowest possible cost. As part of our Downey property management services we also prepare leases and addendum’s for tenants and explain all the tenants’ obligations to them according to the lease agreement so that you are able to avoid potential conflicts in the future. RTI Properties Inc. also negotiate agreements whether you avail commercial property management services or services for residential properties between both the parties. Our Downey property management experts uses a variety of market analysis and web-based tools, traditional media outlets, and professional networks including the general rent as well as the vacancy rate in the area to determine the highest potential rent value of your property. We use different techniques to conduct re-position your property which enhances the property rental value. We may make such low-cost suggestions as improving your curb appeal, new fixtures, or other steps to make your property command a higher rent. RTI financial analysts provide top quality property budgeting and accounting services to help keep expenses down so you make the most income possible from your rental property. Our property management professionals provide a clear vision of the financial health of your property at all times. There are times when emergencies do occur with your property no matter how frequent our maintenance inspections. Plumping springs a leak, appliances fail and other difficulties arise, we field those emergency calls for you and will deal with the problem quickly and effectively. We provide management and consulting services to homeowner associations and residents. Our Downey property management experts focus on building long-lasting relationships with HOA boards of directors who share our commitment and long-range goals. 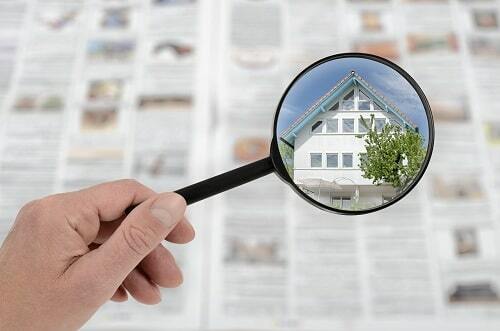 Our due diligence reports include marketing recommendations, operating budgets, plans for future property enhancements. Our comprehensive due diligence reports also include detailed maintenance inspections, lease audits, rent rolls, market analysis, and other information. We does everything possible to reduce the risk liability to our clients including requiring tenants to maintain insurance and provide us with proof that is insured. Consulting and Advisory Services of our Downey Property Management professionals will also discuss with you other ways of reducing your risk liability. Here at RTI Properties Inc., our market analysts offer a comprehensive advertising and leasing service including marketing your property to reach potential qualified tenants, processing applications, screening tenants, and arranging for the signing of leases. RTI’s Downey Property management professionals will evaluate your apartment building or complex and each apartment in every building. We will then make recommendations for improvements that will enhance the amount of rent your apartment can command. Our Apartment management team oversees the daily operations of your apartment building or complex including maintenance services, overseeing necessary repairs and arranging for your property. We take care of these daily operations so that you don’t have to. In order to keep you apprised of the financial health of your property, we maintain scrupulous and detailed records of all expenditures and income related to the apartment. Our reports include all receipts collected, all vacancies and how long each apartment has been vacant, etc. 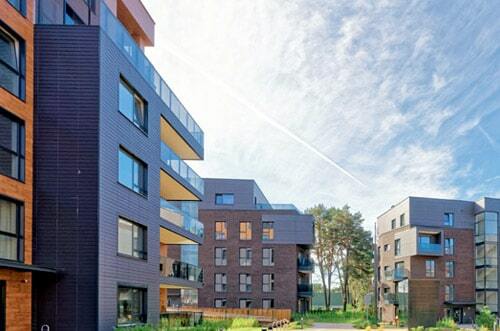 When you own an apartment building and complex you will have people moving in and out of your apartments. Our Downey property management company handles all the moving in and out inspections as well as preparing all vacant apartments to ready them for the new tenants. For time to time repairs for your apartment needs to be done by third-party contractors or vendors, our vendor management team provides information regarding these third-parties as well as identifying ways to increase the quality of services you receive without significantly increasing your overall costs. There are a variety of local, state, and Federal laws governing the rental of apartment buildings in Downey, CA. Legal professionals of our Downey property management team are well versed in these issues and provide you with the information and help you need to ensure that your apartment meets all legal requirements. 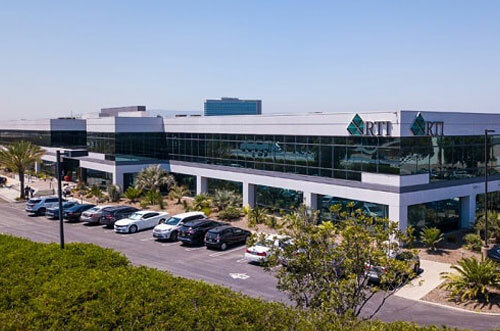 Here at RTI Properties, Inc. we have skilled staff that has vast experience in retail property management, office property management, and Industrial property management so we can meet your needs regardless of the type of commercial property you own. RTI’s Downey property management team are dedicated to finding the best quality tenants for your commercial property through aggressive and creative marketing that stresses the best features of your individual property. Our Lease Administration and Auditing professionals will also make suggestions to you on how to make your commercial property more attractive to potential tenants and to command a higher rent. We will also negotiate those long-term leases, make sure that tenants have proper and updated insurance certificates as well as provide frequent maintenance inspections and oversee necessary repairs for your commercial properties. Our commercial property management team Downey, CA provides you with the high-quality management services you need in order for you to run continued income from your commercial property for many years to come. To ensure you get the highest quality Downey property mnaagement services possible, we have professionals who are available 24 hours a day, 7 days a week to meet your needs. We provide our staff with ongoing training and support in order to ensure they are able to provide you with the management services you need in many situations. We screen every potential property manager and support staff member to ensure that they are experienced in the duties they performed. We have an excellent Human Resources Department that provides support to both our staff and our clients. We also offer our clients payroll services for your convenience. Our Downey Property Management accounting services can be individualized to meet our clients individual needs. In order to ensure that you get consistently high-quality property management services we here at RTI maintain strict policies and procedures for our managers and staff to follow. We provide all our employees with a handbook that serve as a guideline so they can provide you with the best Downey property management services as well as anywhere in Southern California. After servicing buildings thousands of times our facility management team have developed the most optimized and efficient building maintenance and janitorial services routines in Downey, CA. Should you need assistance in negotiating the building service contacts we can provide you with the assistance you need. Our Technology Support keep ourselves apprised of new technology that becomes available that will enable us to provide you with even better services. When we find such technological solutions we will adopt them in order to enhance the quality of service we provide to you. Our strong security solutions are geared to provide around the clock security for both your tenants and your Downey CA rental property. A well supplied rental property and a great first impression are important to the attractiveness and appeal of your property and its ability to command a higher rent, which is why here at RTI include the purchasing of quality supplies and uniforms as part of services. Having the right property insurance is a fundamental part of our risk management services for your Downey property. Downey property management risk analysts have expertise of insurance and our insurance contacts help us to manage your liability risk at a lower cost than you might expect. Here at RTI we have spent over 30 years building a reputation as the best Downey property management company. We have one of the most well trained and skilled professional staffs of any property management company in Downey, CA. Our frequent and consistent inspections of your property combined with our attention to detail provide you with property maintenance service second to none. From re-positioning your property to our thorough screening process we do everything possible to provide you with both high-quality tenants and the best rental rates. Our property management company Downey, CA uses a variety of methods to expertly market your property to fill any vacancies quickly with quality tenants. Our Downey, CA property management services meet the tenant’s needs while providing a large array of benefits to the property owners. We are always coming up with new cost-effective ways for you to enhance your property value and earn more rent from your investment property. Our skilled staff here at RTI is always looking for legal means to help reduce your taxes while maximizing your income. There are certain rules and obligations laid out in the lease that tenants must follow and we ensure that these rules are enforced by using a number of low-pressure rule enforcement measures. Downey is a fantastic city of Los Angeles County, situated in the southeast of California, the US with an area of 12.57 sq mi. It is 13 mi southeast of downtown Los Angeles. However, it is considered as the part of beautiful Gateway Cities. Downey, CA has a population of 113,223 with a range of median age people which is 34. It is one of the growing and thriving city as there is so much diversity. This city has a space museum, parks, art galleries, shopping centers, restaurants, and much more. It is the home of the oldest operational McDonald’s restaurant in the world and also considers as the most exceptional location to live your lifestyle. In simple words, it is a place of history, pride, involvement, and community. Kaiser Permanente is the largest employer in Downey, CA. The city has 34,759 housing units, and the vacancy rate was 4.2%, with a median house rent of $1276/month. The median value of the house is $565,600 while the median annual income is round about $65,332. If you own properties in Downey, CA that you need to partner with RTI Properties Inc. Our Downey Property Management services provides all aspects of property management to help you reach your goal. Contact us today or Call us now at (310) 532-5470 to see how it becomes so easy for you when we start managing your Downey, CA property!